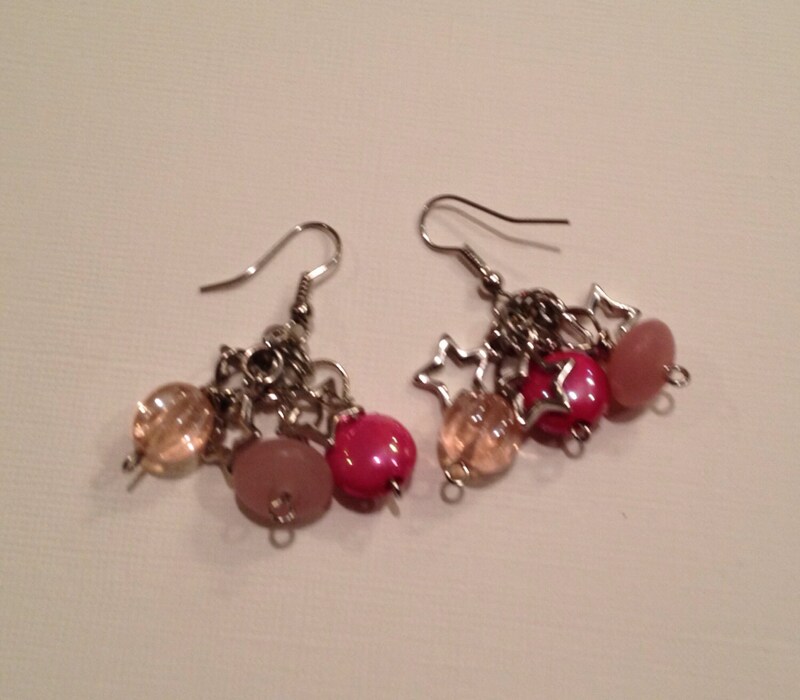 SJC10238 - Pink beads and metal star earrings. 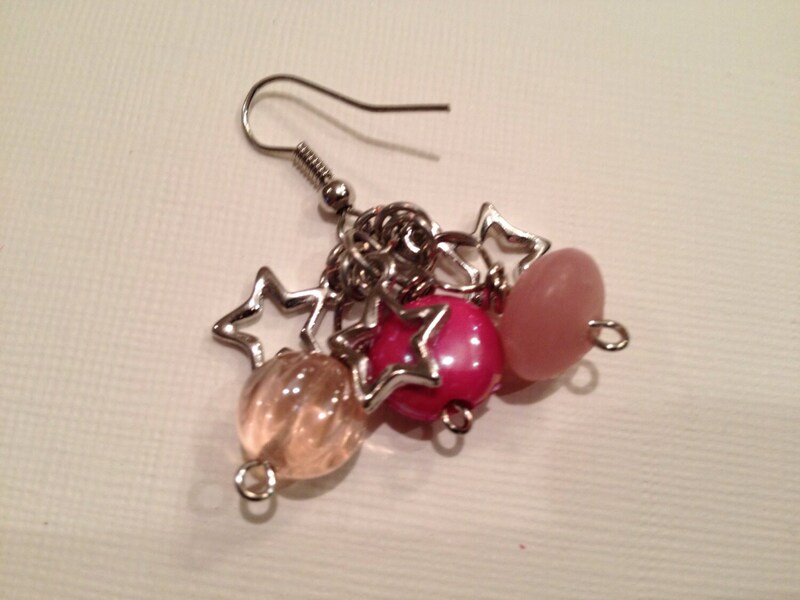 Pink beads and metal star earrings. This is made with various style gemstone, plastic and glass beads. 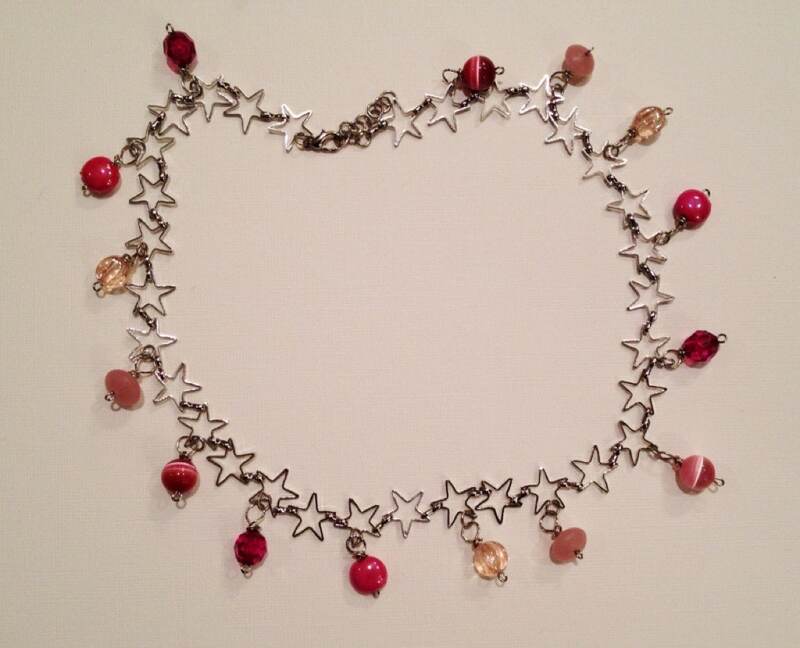 The stars and ear hooks are stainless-steel. These earrings measure about 1.75" long. These could also make a nice gift for girls. Neckline is about 18" but can be adjusted. Please contact me for details.